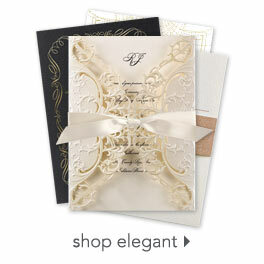 When we envision vintage-style accents, the filigree frame on this accommodations card is exactly what we imagine! Design and wording are printed in your choice of color and fonts. This product features thermography printing. Thermography is a unique printing technique that results in raised lettering you can feel, which adds to the luxurious experience of this printed piece. Size: 3 1/2" x 4 7/8"